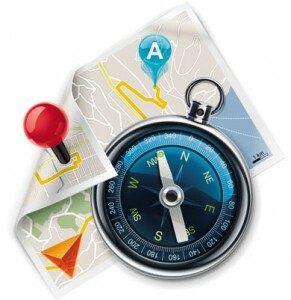 Geographic Information Systems (GIS) make it possible to integrate conventional databases with maps and information and generate results that are not directly retrievable from the database or just the maps only. With a GIS you can query a database and get geographical information and, conversely, query a map and generate a database of information from it. IES Solutions develops Territorial Information Systems taking care of every stage, from planning to implementation, providing software tools and data that may also be extracted from satellite measurements. Our services are oriented to the use of web-based technologies, especially on non-commercial brand so that they are free from onerous licenses for the end user. We work with MapServer, Google Maps API, and, on request, with commercial platforms. We used MapServer in “Ponti Venezia“, a web-based solution that verifies the navigability conditions in Venice, in the presence of high and low tide. Our JIXEL platform, the first web 2.0 interoperable control room, is focused on the use of the Google Maps APIs. Many of our projects focused on GIS and WebGIS solutions and make IES Solutions a qualified and reliable partner in this area. Jixel is a suite of Cloud solutions for daily events and emergencies. Jixel implements an intuitive Command and Control System, which allows a standard-based, seamless sharing of information between the involved actors, being them either on the field or in different Control Rooms. Information about personnel and resources within the area of the event (or approaching it), including the status of the resources and their use.